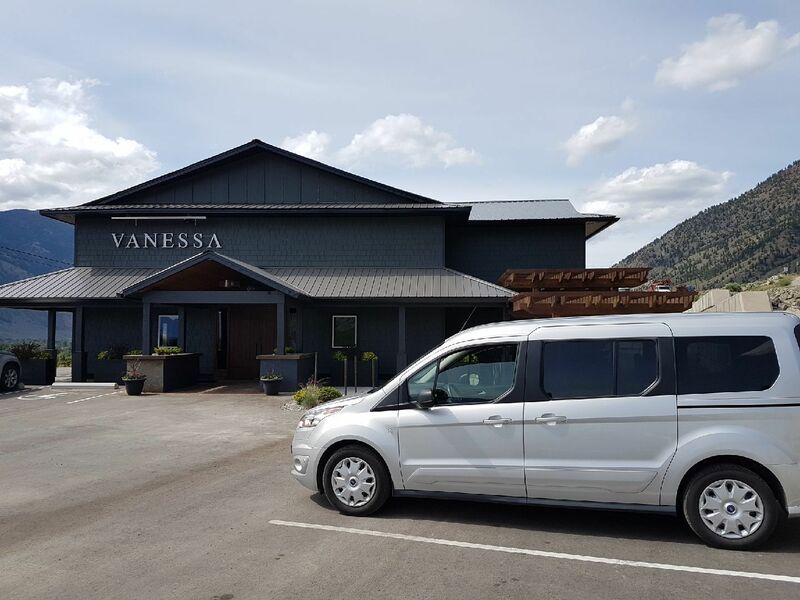 Vineyard Versed is a private boutique wine tour company, specializing in wine tours in the South Okanagan and Similkameen Valleys, including Okanagan Falls, Oliver, Osoyoos, Naramata Bench, Cawston and Keremeos regions. What makes us different from other wine tours is that we offer only private tours for up to six people. When you book with us, you can expect to have your own private car and tour guide for the day; we will not be rushing you off for our next booking. Your day of touring is important to us, so you can rest assured that your driver is knowledgeable and courteous and has made all arrangements ahead of your tour, from lunch reservations to private or executive tastings. Spoiled! That’s what we have to say about this wine region. Tucked in at the south end of the Okanagan Valley, Osoyoos and Oliver share a lake and channel system that bring life to a diverse growing region. From tannic reds to aromatic whites, exploring the variety of grapes and winemaking styles will keep you busy for days. Crowning the west bench of the Oliver/Osoyoos valley is BC’s first appellation, the Golden Mile Bench. Don’t miss this opportunity to discover what the unique minerality of these soils lend to these wines. What was once the rolling hills of ranch land is now cascading rows of vinifera. Vineyards are neatly tucked between mountains and hollows and are home to some of the most elegant Pinot Noirs, traditional method sparklings, expressive Chardonnays and age-worthy Rieslings. 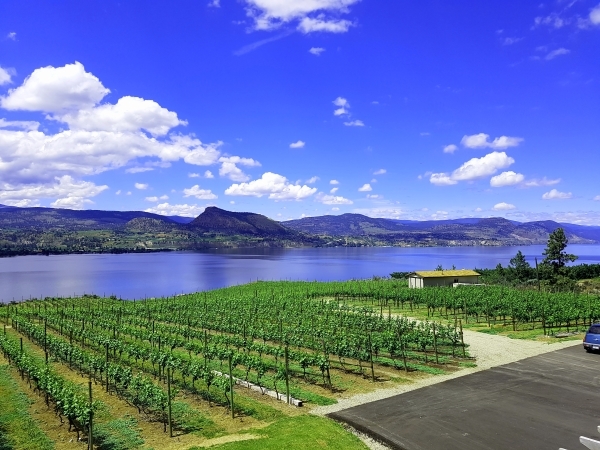 Truly a gem of a region that is often overshadowed by its neighbours, the Naramata Bench and Oliver-Osoyoos Valley. Spend a day tasting here and you’ll experience intimate and uncrowded tasting rooms with serenity and natural history. 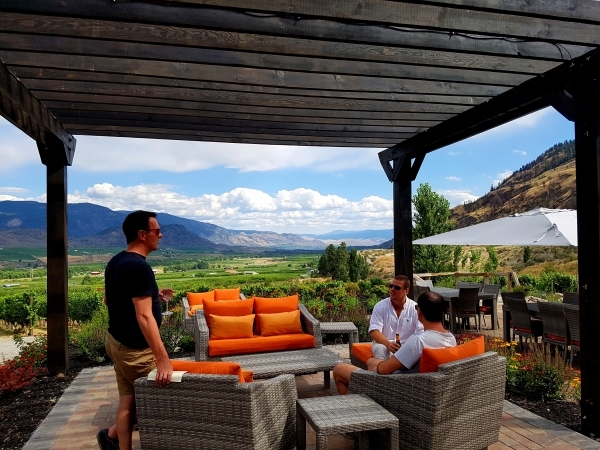 This rustic and rugged valley just west of Osoyoos is proud of its many award-winning wineries. 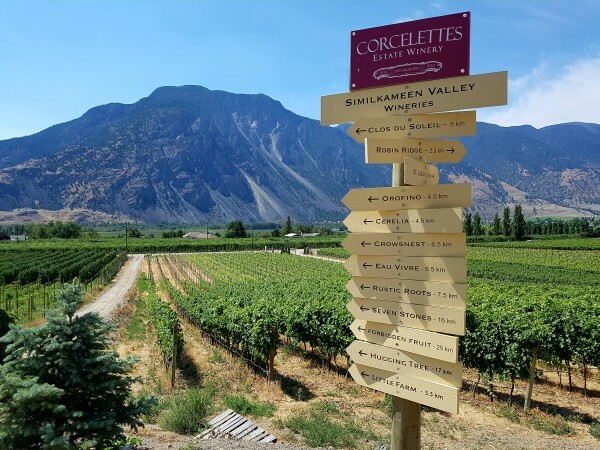 The Similkameen Valley, home of the towns Cawston and Keremeos, embraces steep mountains and the Similkameen River winding through a broad range of wineries. Winery styles from back door farms, organic VQA operations, fruit based wines and eloquent tasting experiences are what you can expect to find in this region. 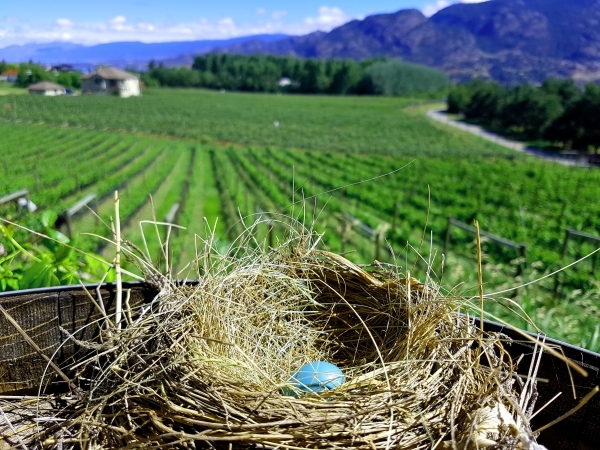 Don’t let the swagger of the Rugged, Rustic, Real slogan of the valley fool you – missing a chance to explore this area means missing out on some of the most up-and-coming wines BC has to offer. Naramata Bench, located on the east side of Penticton, boasts abundant sunshine, cooling lake breezes and an optimal temerature range for wine grape growing. The vineyards of Naramata Bench promotes ideal conditions for producing full-flavoured white varietals as well as earlier ripening elegant reds. This 14km stretch of road is residence to the most densely packed variety of wineries in BC, all situated in the rollings hills of their own microclimates. Spend the day touring amongst some of the most breathtaking views with delicious dining options.